So my new vega 56 sapphire just arrived, and i have an issue, I put the card in the slot, i got all 16 pins in, the fans are spinning, led is on, but I get no display from it, I know for a fact that monitor is not a problem, cause i can still run my r9 390 old card, and my intels graphic card without issues. I believe that motherboard is not at problem aswell, since the card is being recognized, and I don't think that the PSU is at fault, since I'm running r9 390 with no problem, and 390 actually consumes more then 56 does. Anyone had any similar problems, or could it be that the card is at problem? The power cable you using two different sources into that card? Do not daisy chain two from the same cable. You want to use two separate power supply cables and leave the loop out from the plug unused. Like in this picture, two separate cables and the loop outs from each are not connected. That said, it shouldn't really cause any issues having it the way you do until you stress the card as it should only pose a problem when the power draw is high. I will give it a try, thanks. Have you disabled the igpu on the BIOS to force dedicated GPU? + check your BIOS version there may be an update to resolve issues. (General Tab, Erase Autosaved Settings) I have now unchecked that and it seems to be holding values now. So all in all a nice upgrade over the 480 and will be a nice starting place when I build a Ryzen 3000 rig sometime after its release. Really nice to get back to PC gaming as I had an Xbox one X break 2 days before the warranty expired and rather than renew (already have a PS4 Pro and switch) I decided to upgrade the PC. Shame that. I would try it in another rig before sending it back (if you got friend/relative who would help) but only concern would be even a quality 550w PSU, if its old and cannot provide the juice on the rail its never gonna play well. 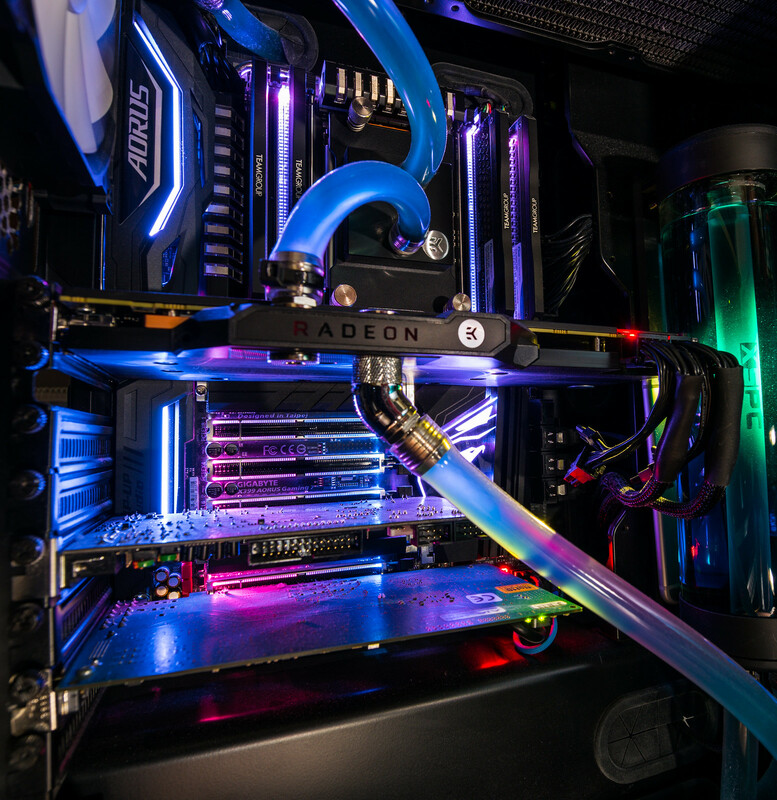 Did you flip the switch on the card to try it on the other BIOS? Yea, I'm thinking that perhaps the PSU may be the problem, but I can't figure it out how, it's a gold rated EVGA 550w(roughly 3 years old), pc is not overclocked, I'm running on 6600k, z170-m plus, couple ssd,1 hhd, 4 fans, the power should not be the problem, especially from the fact that I can run MSI r9 390 without any problem, which needs something like 280W, meanwhile vega 56 needs roughly what, 250? I wish I had a higher watt PSU to try it out. I guess it worth ruling out just in case though. What's your system spec? It just about runs on my brothers 650 ocz modxstream. Its not the wattage overall its can the PSU maintain a healthy voltage when stressed, I heard the Vega's are a bit fussy and dont like ripple - google the Seasonic Focus issue. However Aurelijus' problem is different as it doesnt yield a screen at all? Only time I had that was when the cable from GPU to monitor was bad. Swapped that and instantly got display so another thing to rule out. 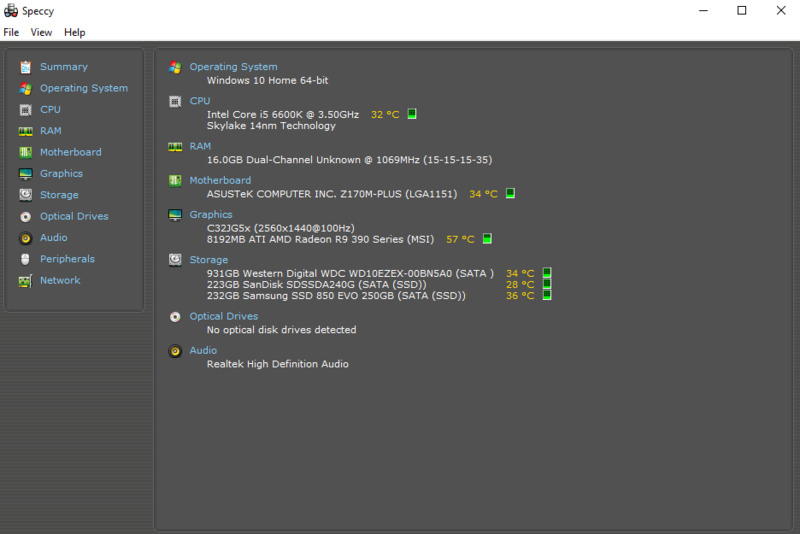 Hi, I downgraded my AMD drivers to get the old fan curves back and stuff and decided to undervolt overclock my Sapphire Pulse 56. I'm testing P6 at 1577MHz and 1040mV and P7 at 1632MHz and 1070mV. Memory at 900MHz/1000mV. Power limit +50%. I test my clocks using fire strike with 3DMark. GPU-Z logs my power draw from the GPU. It seems to fluctuate around 205-210W at 99% usage, with very ocassional spikes to 220W. Few sensor readings are showing 1500+ W!!!!!! Is this even possible? At the same time, the temperature of VR SOC/ VR MEM shows at 1500C too. Is something broken, or are sensors just unreliable like that? I also noticed a slight coil whine. Doesn't bother me too much. Yes, something is broken. I noticed over the weekend my VRAM temperature was also spiking up to some ridiculous value in the thousands and also spiking down to 0 sometimes. P.S. You'll want to set your "memory voltage" to the same as your P6 voltage, since it's actually a voltage floor and nothing to do with the VRAM. Definitely worth a shot mate, cracking card it is. Hi peeps. Bad news. My second card started artifacting today, I only see it in rocket league so far. But that was the main game that showed faulty VRAM in my first card too. It only happens when I press "Training" and the dark background shows up. I get a quick blink of green and white'ish squares across the whole bottom of my screen. It's like a strip that always seems to be in a similar place. Happens every time I enter or exit a menu option with a dark background. I don't have many other games to test with yet. Oh no. Does anyone know how I can test the VRAM myself? So I don't have to go through that dreadful RMA process once again?